Jason, since Raf Simons announced his departure from Dior there has been a lot of discussion about the rapid pace that the fashion industry has developed. As the head designer for your own label and as the art director for Hugo Boss, how do you deal with the constant demand for new collections? It’s easy to say that fashion is fast-paced, and there certainly have been a lot of designer departures, but to me fashion has always been a reaction to what is going on culturally, politically, and even economically. We take our cues from what’s going on out there, you know? And the truth of the matter is that we are in a very, very fast-paced world and for fashion to be on a slower pace doesn’t seem to make sense because then it wouldn’t be very relevant for the times that we’re in. Do you thrive under that fast-paced pressure? I can’t speak for anyone else, but for me, I’ve always been very much a multi-tasker. 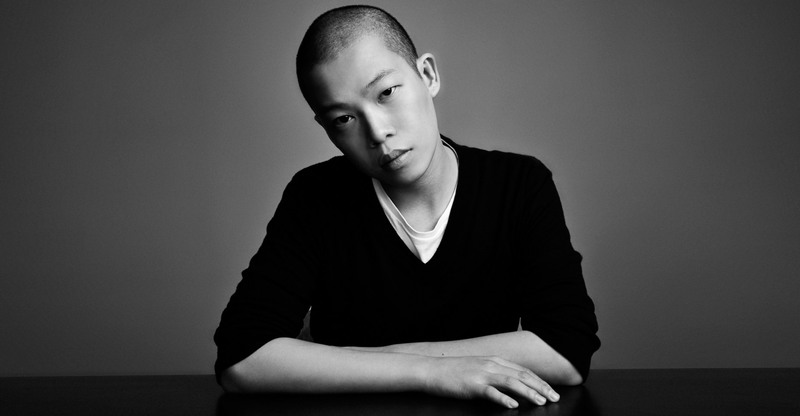 I like being really busy and I like the idea of challenging myself from a design point of view and doing different things, like doing Jason Wu and Boss. 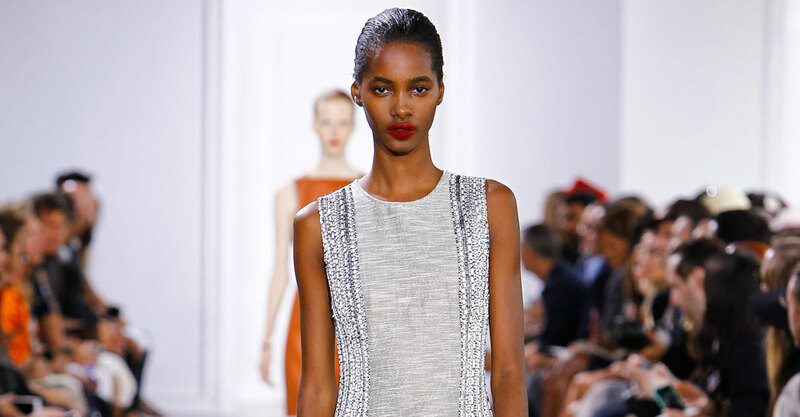 For Jason Wu it’s very much my aesthetic, it’s very much the things I admired growing up that shape my design aesthetic, it’s very personal. At Boss it’s about me designing with a different side of the brain, it’s about interpreting something that’s already been there for 90 years and something that has a strong DNA and doing it in my way, but in a way that still makes sense for the company. It is an interesting challenge for me and I’ve always done multiple projects at a time. It’s simply the way I like to work. So for me it’s not that stressful. Were there stressful moments? Yes, but that’s kind of what I signed up to do. You once said, “The worst thing is to be a designer and create work that isn't honest.” How do you make sure to stay honest, especially when juggling two different brands? I think it’s really important that you don’t lose track of yourself. Fashion moves on so quickly and you can get really caught up in that whirlwind, so for me it’s about really having a nice group of people around me that keep me on track and grounded. Also, I think I work very much based on instinct because whenever I’ve done things that are against my instinct I’ve always regretted it. So I really just trust my gut; I’ve always operated like that in my life and my career. You’re not known for following every trend that comes along. Well I think it’s very much my personality. I don’t consider myself a very trendy person. I also hate to use the word “cool.” I think it has a lot to do with the way I was brought up. My mother was a huge influence on me and my aesthetics. I remember when we grew up, my mom had antique furniture in our house and I always thought it was pretty old. All my friends had glossy, newly built houses and my mom bought like a 70-year-old house. And back then I wanted what everyone else had, but as I grew up I realized that wasn’t what I liked anymore. I preferred things with a history, with a point of view, things that have been touched and have been through time. And that has really helped shape my aesthetics. Who do you look up to when it comes to those aesthetics? Yves Saint Laurent, Charles James, Geoffrey Beene, those are the designers that have heavily influenced my work throughout my career. I think what I make isn’t about just one season; it’s about something that is relevant for a longer period of time. To me that just feels more authentic. What does it take to have true taste? We often say some things are good taste or bad taste, but who’s to really judge what is good taste and bad taste? I would say it’s really subjective; taste is in the eye of the beholder. But true taste is something that is yours and I think that takes time to discover. For me, comparing from when I started my career and my company to now, I think I have a much more sure idea of who I am and what my house represents. We often say some things are good taste or bad taste, but who’s to really judge what is good taste and bad taste? How has that changed the way you approach your work? In my early 20s there was a sense of needing to conform a little bit, I was sometimes even a little bit uncomfortable with myself. I was questioning myself and questioning if what I’m doing is even right. I never worked for a fashion house before I started my business—I had only interned—and I came right out of school and I kind of started into a world that I largely didn’t know, or had barely scratched the surface of. And with experience and just being through it all, I think you really learn that sticking to your guns and just really being yourself and being more confident and owning what you do makes your work better. There’s no wandering around because you are approaching it in a more direct way. How do you measure success? Is it sticking to your aesthetic and what you think is right, or is it pleasing the fashion editors and reaching bigger sales numbers. I think success is to be well-rounded. The editors are going to form their own opinions and the critics will as well. But at the end of the day, the most important person that needs to be happy with the result is me. I need to feel confident about what I presented. And at the end you also want to make sure that what you’re doing is not only relevant in the galaxy of fashion, but also that you have a customer for it. To me that is the ultimate success. It’s one thing to see clothes in the pages of magazines, but, ultimately, I want to see my clothes on people. Even if you risk being called a commercial designer? I think it’s just been my personality from the beginning. I never thought the word commercial was a bad word. I liked the idea of balancing dreams and imagination and creativity and art with something that’s practical as well. That’s always been the basis of my aesthetic as well. I’m not a super avant-garde designer; there is a sense of reality in what I do because I really imagine the woman wearing it at the end. As you said, you have gained a lot of experience and confidence in your first 10 years as a designer. Where do you see yourself in another 10 years? I think it’s just about defining the next chapter of the brand. In the beginning you look at the clothes and you think about the clothes you want to design, but over the last few years it has become, “What bag does she carry? What kind of shoes? What is the jewelry? What is the environment that she lives in?” And that’s the part I’m really interested in digging into in the next phase of my career. To discover all the other parts, the world around her, in a more concrete way. Both in the way I think about the collection and also physically, thinking about building the space around her. Those are things I’m very excited and intrigued about pursuing and I think that’s going to be very important going forward, to think past the clothes.